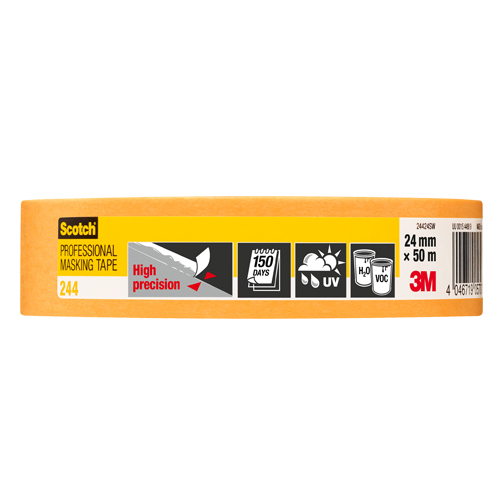 Scotch® Professional Masking Tape 244 is our versatile tape for masking a variety of surfaces from both water and solvent based paints. 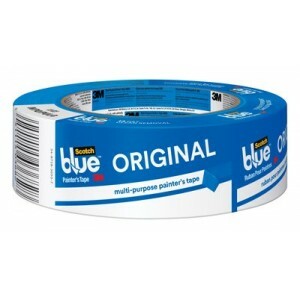 Ideal for sharp and precise paint lines, it’s 24 mm wide and is available on a 50 m roll. Get sharp and precise paint lines when masking both indoor and outdoor surfaces, and while using water and solvent based paints with Scotch® Professional Masking Tape 244. 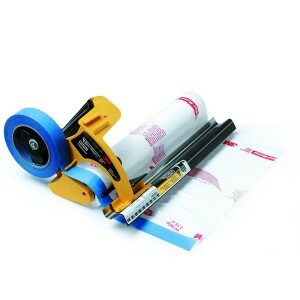 Our tape is UV and water-resistant making it your versatile, go-to tape for many different professional masking applications. It adheres consistently to most surfaces without paint bleeding, ensuring clean paint lines. It can be removed cleanly without leaving residue, for up to 150 days after application.